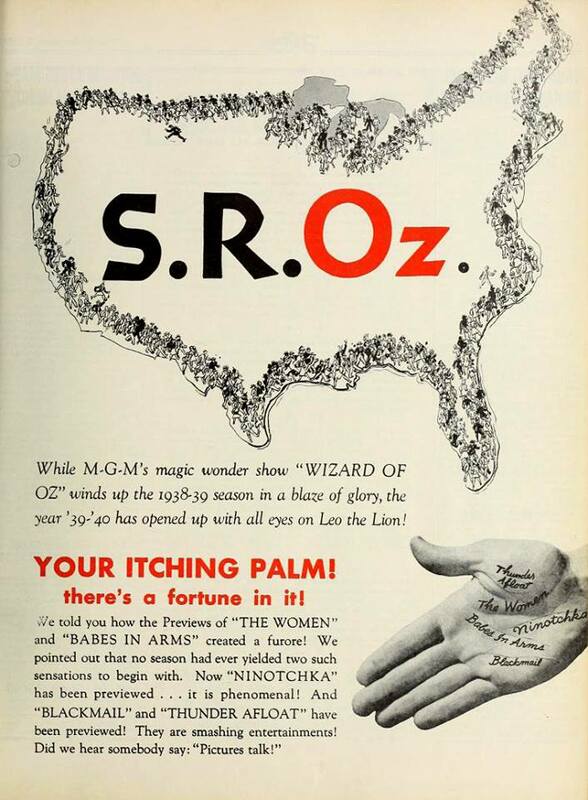 September 7, 1939: Another ad promoting the success of The Wizard of Oz appeared in the trade publications. September 7, 1940: Judy continued work on Little Nellie Kelly. 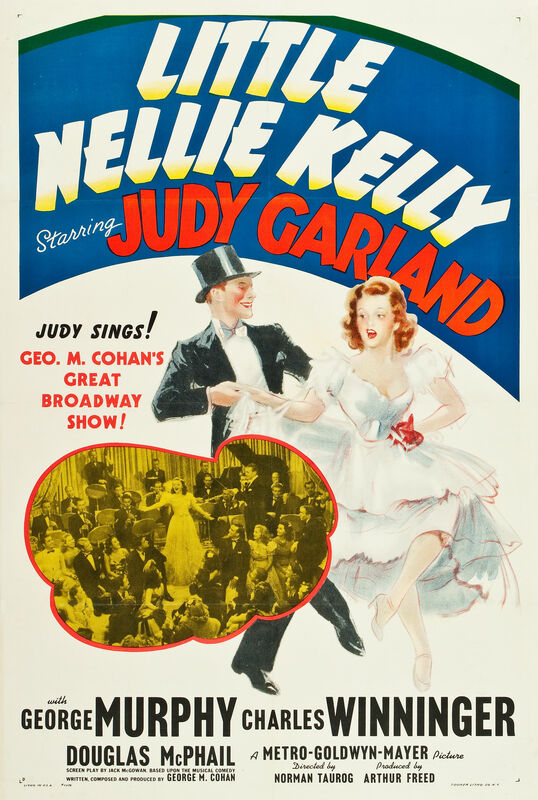 According to studio records Judy had no filming but instead “rehearsed song and dance” which was the “Nellie Kelly Waltz” (“Nellie Kelly I Love You”). 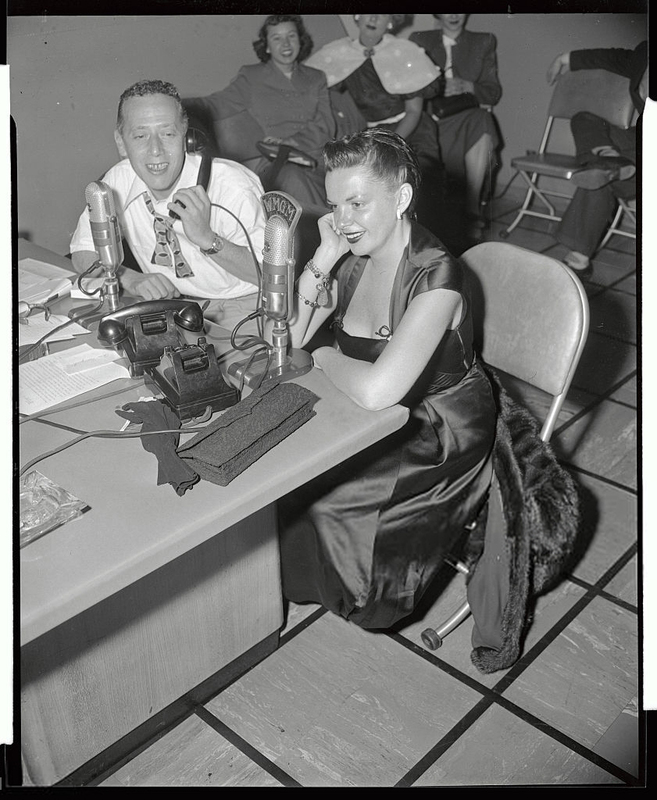 Time called: 10:30 a.m.; dismissed: 2:05 p.m.
September 7, 1941: Judy appeared on the NBC Radio show “The Chase & Sanborn Hour” aka “The Charlie McCarthy Show.” She banters with “Charlie” and Edgar Bergen (Candace Bergen’s father) in one of her several appearances on the show. Judy’s obviously having a blast here. 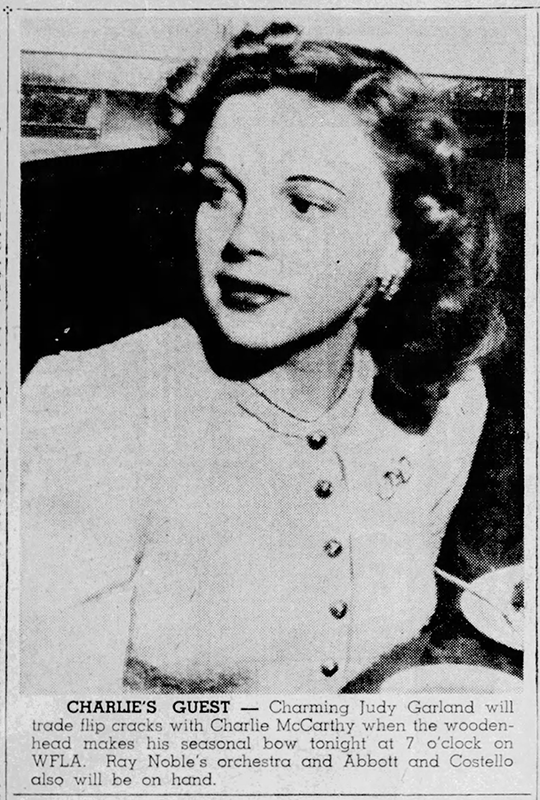 September 7, 1944: Judy was due on The Clock set for more filming on the “Interior Alice’s Apartment” but called in sick. 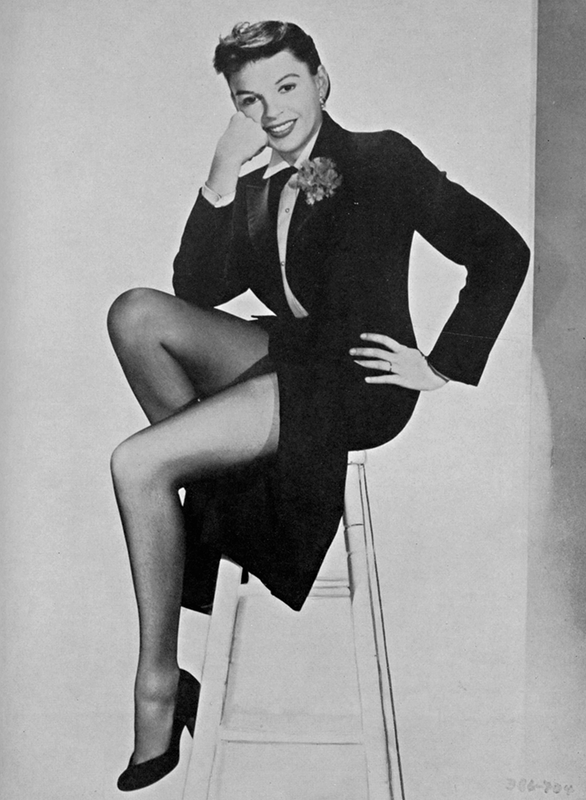 Louella Parsons’ column noted that according to the new edition of the Box Office Digest magazine, Judy placed at #6 in the top ten female film stars. 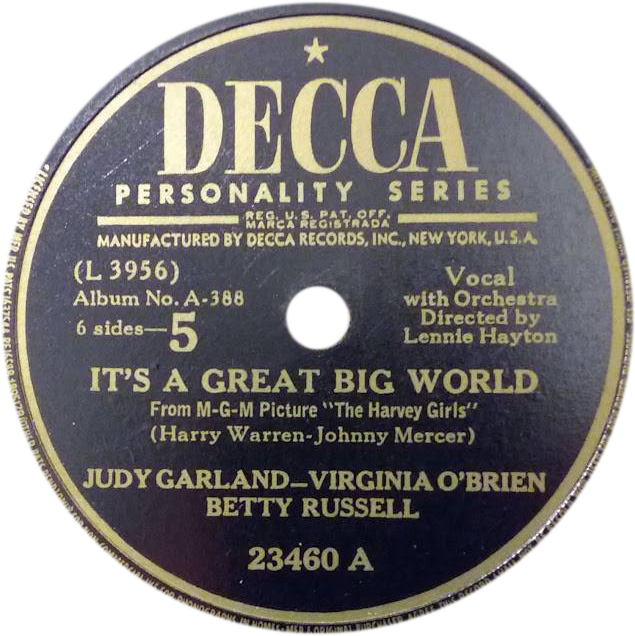 September 7, 1945: Judy was at the Decca Records studios in Hollywood, California, and recorded two songs for The Harvey Girls “Cast Album” of songs from the film: “It’s A Great Big World” and “In The Valley.” The former was recorded with co-star Virginia O’Brien along with vocalist Betty Russell standing in for the non-singing Cyd Charisse. 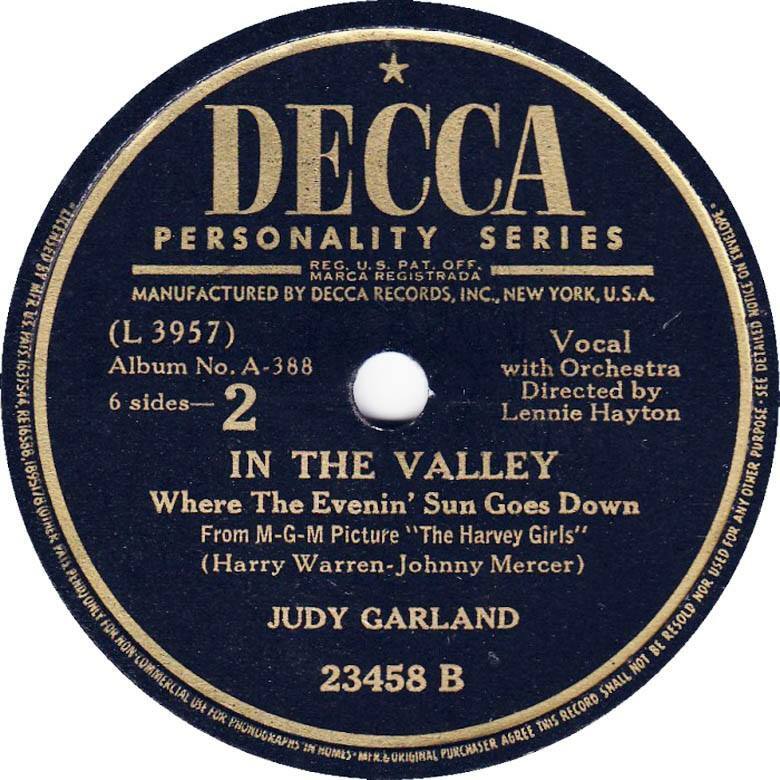 This is the third and last of Judy’s Decca cast albums. The albums were studio recreations of songs from the films, the previous albums were “The Wizard of Oz“; “Girl Crazy“; and “Meet Me In St. Louis.” What makes this album even more special is the care with which Decca took to emulate the performances from the film. Most of the film’s cast was involved, including Kenny Baker and the wonderful Virginia O’Brien. 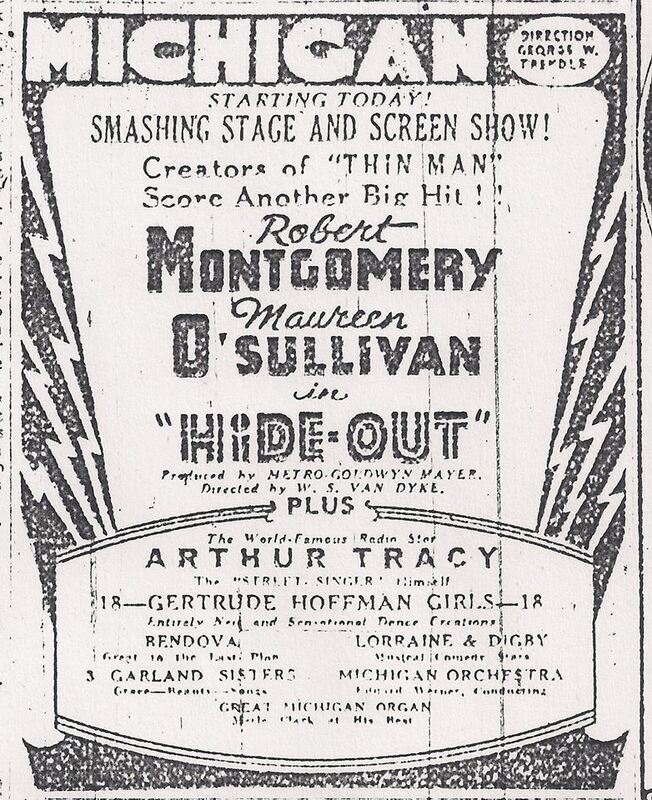 The arrangements were near identical to those used in the film because Decca brought in MGM’s musical director Lennie Hayton and vocal arranger Kay Thompson to repeat the work they had done for the soundtrack prerecordings. Photos of the labels above provided by Rick Smith. Thanks, Rick! 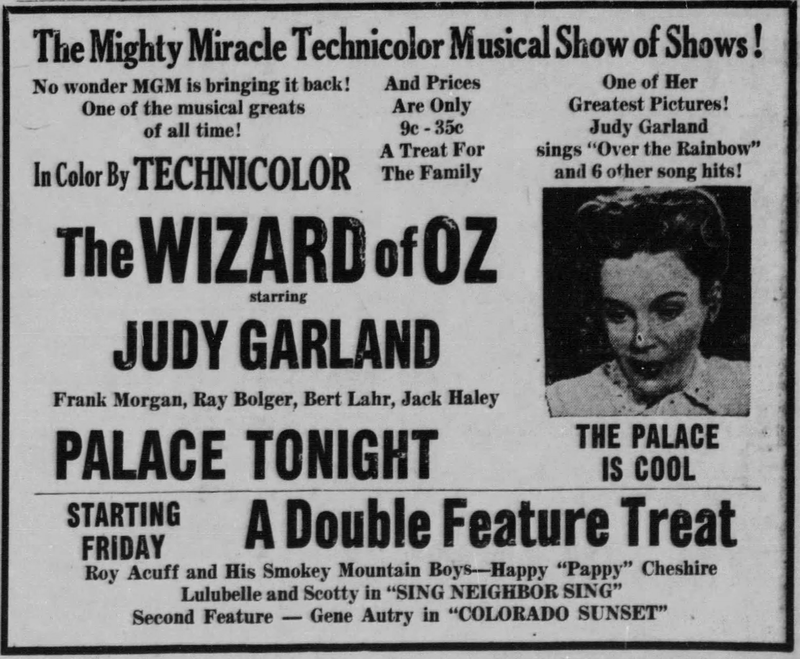 September 7, 1949: More ads for The Wizard of Oz and In The Good Old Summertime. Both ads use images of Judy from In The Good Old Summertime. 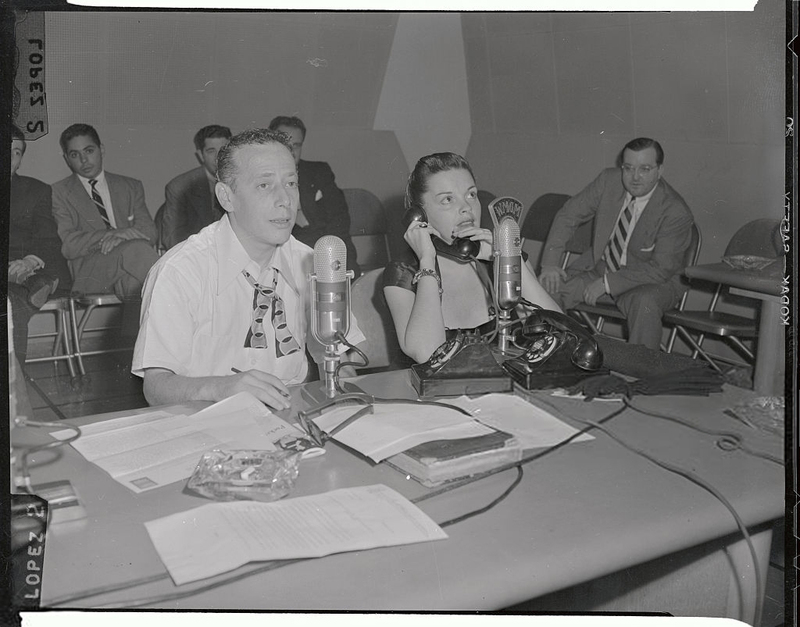 (Original Caption) Motion picture star Judy Garland answers the phone here, while on a visit to disc jockey Jack Eigen, (L). She took part in the radio program, during her stay in New York City. 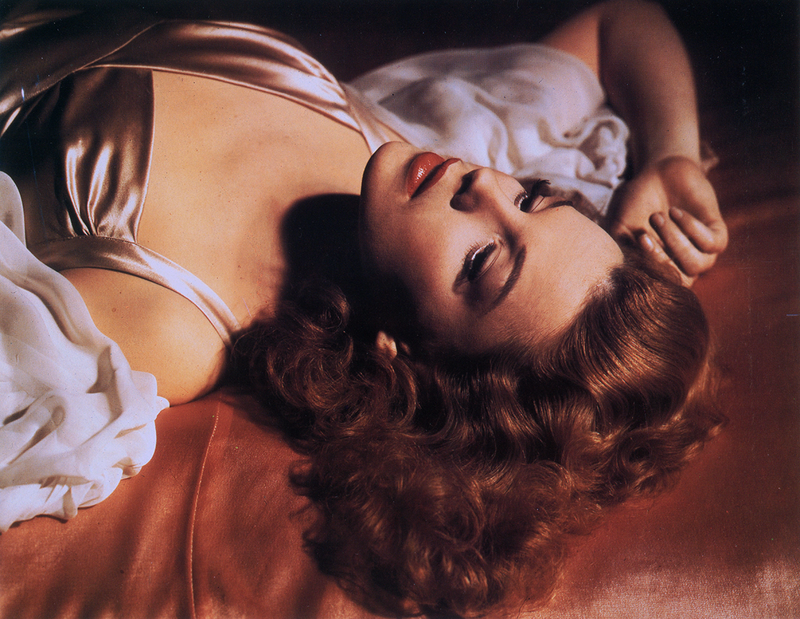 (Original Caption) Judy Garland, (1922-1969), movie star, is shown here making her first appearance since her attempted suicide, on the Jack Eigen Show this morning. 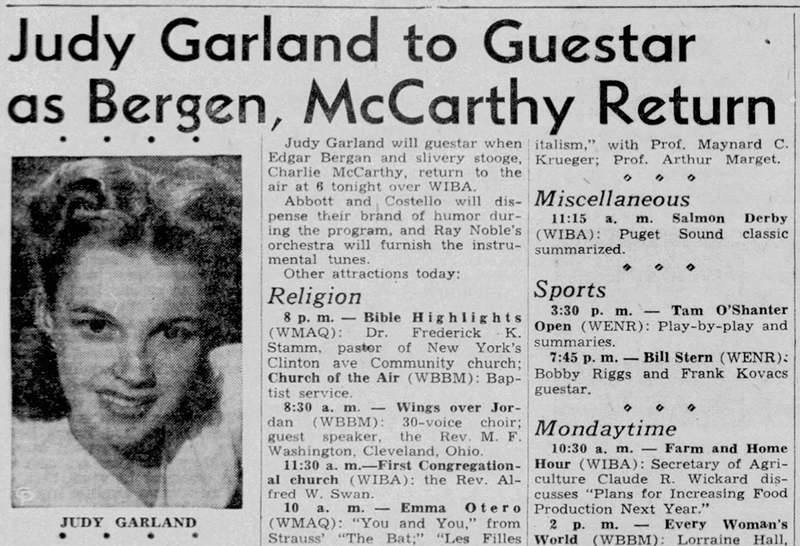 September 7, 1950: While still in New York, Judy was interviewed by Jack Elgin on MGM’s local radio network, WMGM. Here is a photo of the two during the broadcast. 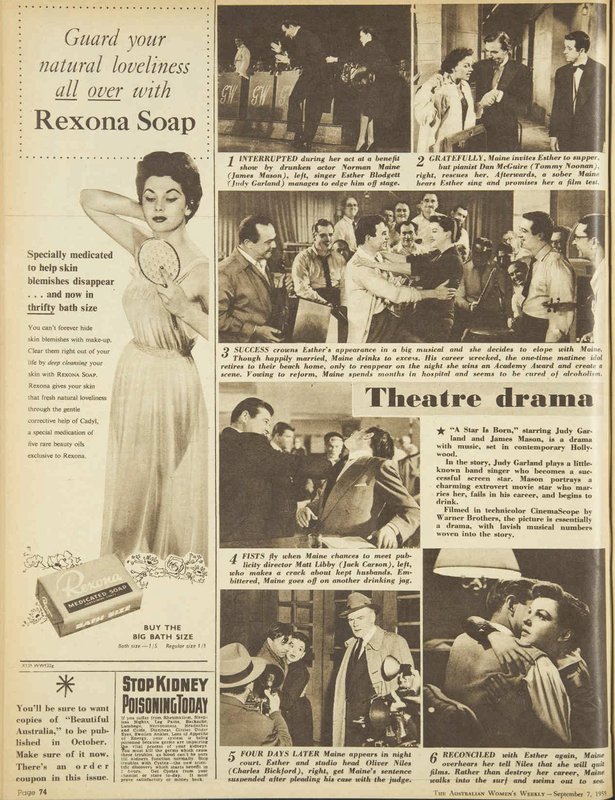 September 7, 1955: This feature appeared in the Australian “Women’s Weekly” publication. 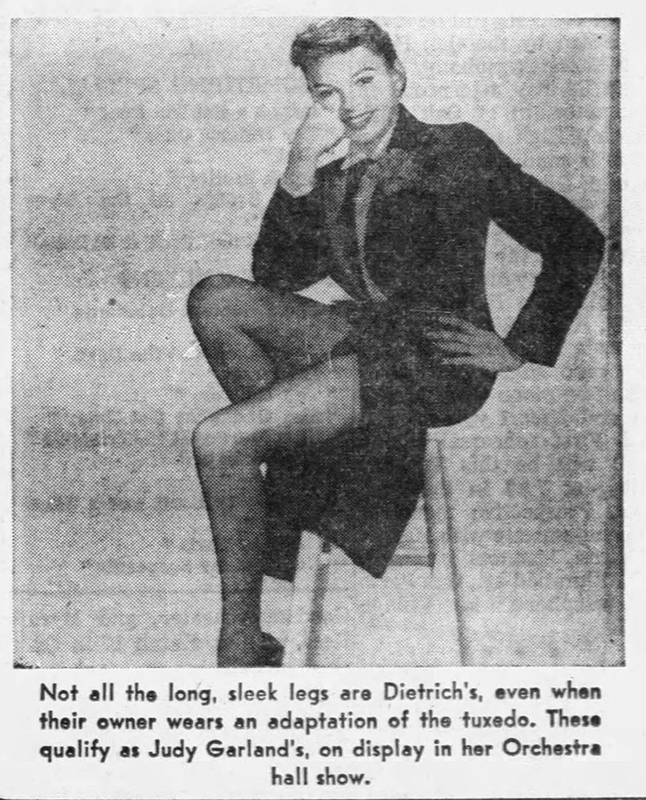 September 7, 1958: Judy’s legs get some much-deserved attention. 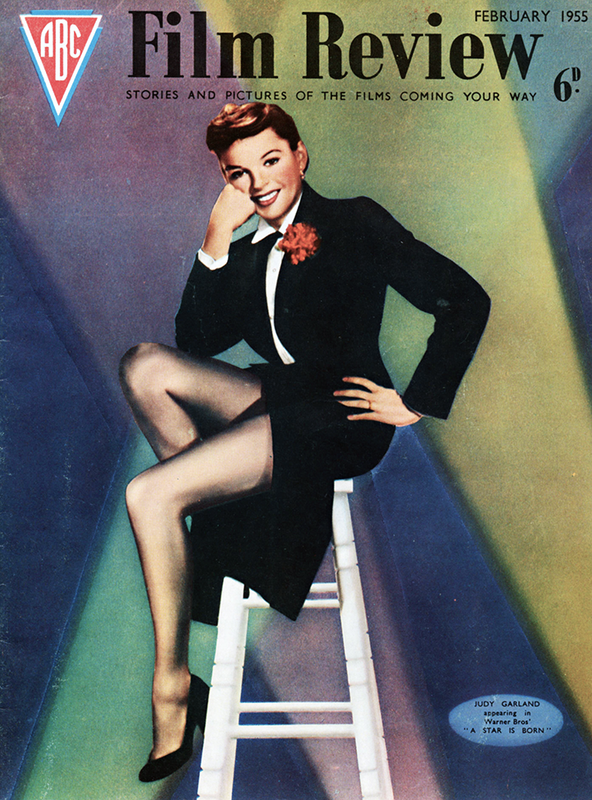 Judy was currently in concert for 6 nights (through September 9th) at Chicago’s Orchestra Hall. 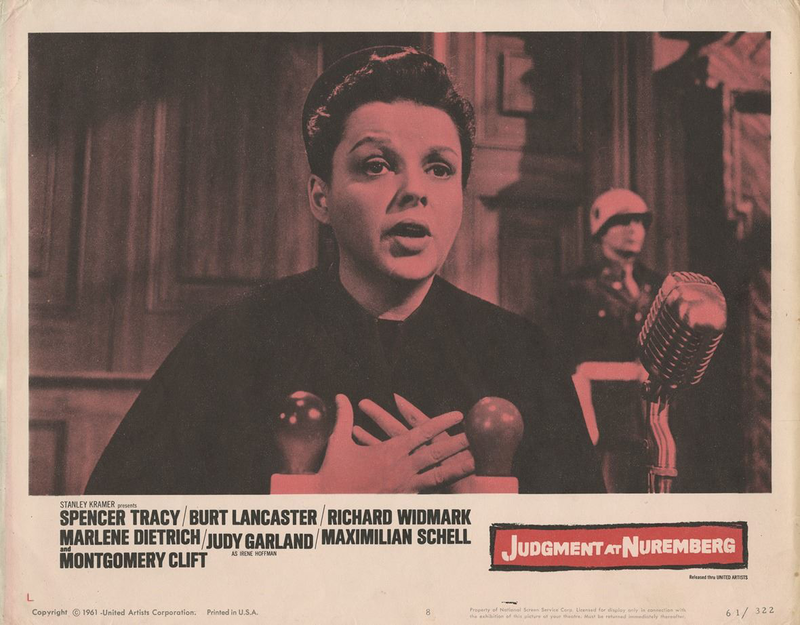 September 7, 1962: Still playing in theaters, Judy’s Oscar-nominated performance in Stanley Kramer’s Judgment at Nuremberg. I premiered that previous December 1961. Although she lost the Oscar again (this time in the “Best Supporting Actress” category), Judy’s performance as Nazi victim Irene Hoffman is one for the ages.